Lockheed Martin's F-35 Lightning II fighter jet is a breed apart, the most technologically innovative combat aircraft that combines unsurpassed stealth and maneuverability capabilities with advanced sensor systems that provide pilots with a 360 degree view of the surrounding battle space. David Soyka reports on a new, cost-effective generation of fighters so advanced pilots who haven’t even been born yet will use it. The Wright Brothers could never have imagined anything like the single-seat, single-engine F-35 Lightning II fighter–not in their wildest dreams. Not just because of supersonic cruising speeds of up to 1.2 Mach. or an advanced stealth airframe built with the latest materials to render it virtually invisible to radar detection. But also because of the most integrated and comprehensive sensor package that enables electronic data collection and warfare capabilities that, among other advances, provides pilots with real-time, 360 degree views of their surroundings, views that can be shared among commanders and counterparts in the air, as well as on the land and sea. In particular, the F-35’s Helmet Mounted Display System displays situational data—such as speed, heading, altitude, targeting information and warnings—on the helmet visor rather than the conventional heads-up display, resulting in faster pilot responsiveness and reduced workload. The helmet also contains a Distributed Aperture System (DAS) that provides real-time streaming sourced from six infrared cameras mounted around the aircraft. This allows in addition to night vision the ability to “look through” the airplane—when pilots look down at the floor, they don’t see the floor, but the airspace beneath them. In other words, the new breed of fighter jet is arguably as much a result of software as it is hardware. As versatile as the F-35 already is, there are three “variants” outfitted to the needs of the specific service branches. The F-35A is a conventional takeoff and landing variant designed for the Air Force. The Marine F-35B is a short takeoff and vertical landing (STVOL) variant that can hover and land at damaged airstrips, remote locations and a range of air-capable ships. The F-35C Carrier Variant (CV) has a broader wingspan to better enable take-offs and landings from shorter carrier decks, as well as ruggedized structure and more durable coatings designed to withstand shipboard conditions. The initial idea for the F-35 dates back to 1997. Lockheed Martin was one of two companies selected to submit plans for what was called a Joint Strike Fighter concept demonstration. The Lockheed-Martin X-35 won the competition, and the first production F-35A (the “Lightning II” designation was later added in homage to two earlier fighter models) rolled out of its Forth Worth, Texas assembly plant in February 2006. 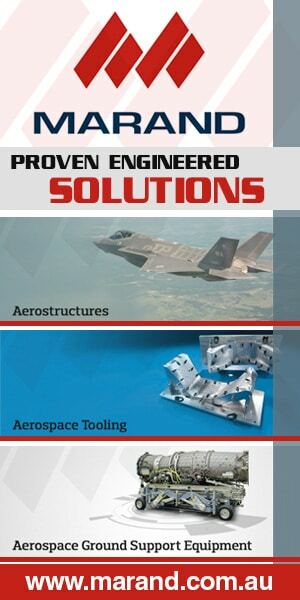 While Lockheed Martin builds the airframe, the engine is supplied by Pratt & Whitney. Lockheed Martin also teams with Northrop Grumman and BAE Systems, as well as 14000 suppliers from 46 states and 10 other countries to complete a finished fighter. The key to this is based flow-to-takt manufacturing, a strategy of moving component assemblies, such as wings and forward fuselages, from one build station to the next in synchronization with parts delivery, task timing and personnel allocation. Lockheed Martin claims that production learning times are much faster than those of other fighters, and that both costs and time to build have been reduced by 50 percent. Which is just one way of demonstrating how the F-35 soars above all other fighters while staying below the radar.